Most Wanted for: unauthorized, highly addictive debut record; aiding & abetting notorious pop gangsters The Summer Set on national scale. Gear up for your next alt-pop obsession–they’re called Royal Teeth. 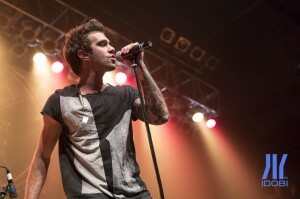 You might have heard the name, since their hit single “Wild” from the 2013 debut Glow was featured in a slew of commercials that year. But if not, don’t worry! 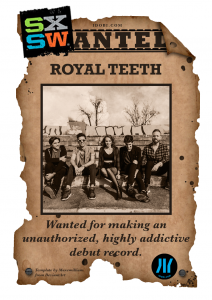 Now’s the perfect time to get familiar with Royal Teeth at their SXSW sets, which are sure to be nothing less than a dance party. Dual vocalists Gary Larsen and Nora Patterson will steal your heart with enchanting melodies and even better harmonies, plus they’re backed by a solid foundation of catchy guitar riffs, piano, and an array of glowing pop synths that make this music pure fun. 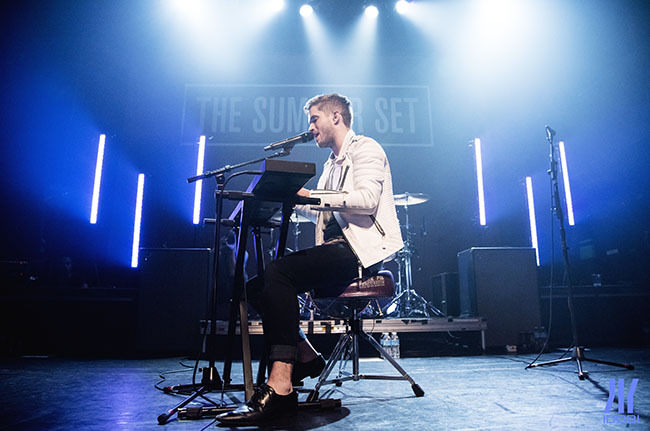 The band’s heading out this spring to support The Summer Set on their national tour as well, so you’ll want to jump on this train for sure.